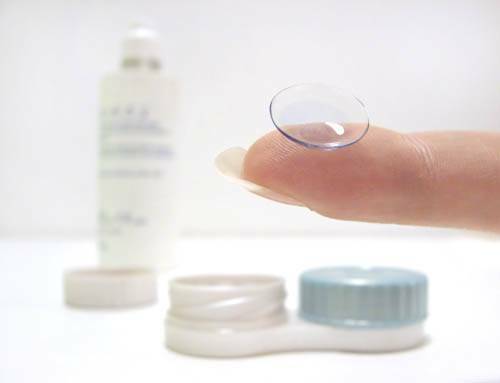 Contact lens care can be a demanding task! Making sure that you are using the right contact lens solution, in the right amount and changing it every day, as well as sticking to your optometrist recommended replacement schedule every 2 weeks to a month, can be quite a stressful experience, to say the least. As a matter of fact, recent studies reveal that as few as 2% of all contact lens wearers actually clean and store their contact lenses as they are supposed to, exposing the majority of people wearing rigid gas permeable or bi-weekly and monthly disposable contacts, to a host of harmful bacteria that can grow on their lenses over time and cause serious eye infections that are potentially eye and sight threatening. Fortunately, daily disposable contact lenses offer a significantly more convenient and healthy alternative. Another important advantage of daily disposable contact lenses is that there is no longer a need for you to worry about being forgetful when it comes your contact lens replacement schedule. Many people are not aware of the extent of damage that can be done when contact lenses are not changed for a clean, new pair on time. Overwearing of your contact lenses in this way can lead to serious infections and scratching of the eye’s surface known as a corneal abrasion. Dr. Lagunas especially recommends DailiesTotal 1 and daily contact lenses, for their water gradient design for better hydration of the eye. For those with bifocal needs, Dr. Lagunas also recommends Dailies Total 1 Multi-focal and AquaComfort Plus Multifocals. For more information, and to find out if daily disposable contact lenses are right for you, contact our eye doctor in The Woodlands, TX today!